The photo featured above is a facsimile from the first page of a two page article about my Detective Chang Apana / Charlie Chan research. It was published in the Honolulu Star-Bulletin on August 22, 1982. The article was written by Susan Yim. The truth about Chang Apana, was finally revealed to the people of Hawaii, and the world for the first time. Needless to say, this article created a sensation in Hawaii, the reverberations of which, are still being felt today. Below you will find two short excerpts from my forthcoming book "Charlie Chan's Hawaii". Here is a portion of the actual Prologue, and the first paragraph from Chapter One from my book. 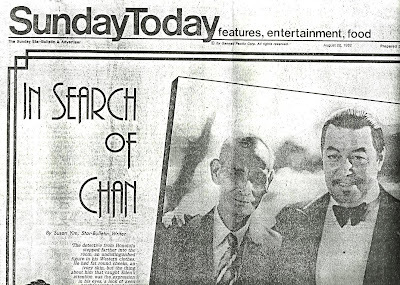 It was in the spring of 1981 that I first became enchanted with Charlie Chan. 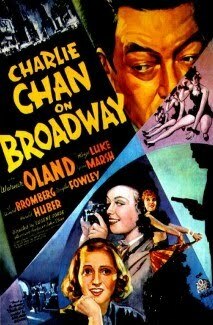 At that time a New York TV station was presenting a “Charlie Chan Festival” for two weeks. 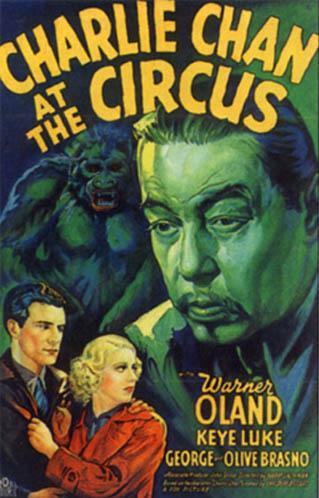 I watched it every night, and was thrilled by the expert performances of Warner Oland, and Sydney Toler as Charlie Chan. 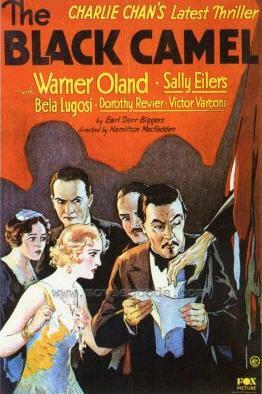 The movies were quaint and charming, but underneath this veneer I sensed something else. There was an undercurrent of urgency in the Chan films that made them so exciting. Much of the action occurred psychologically, and to any sensitive or astute person, these mind games are powerfully seductive. The films assumed their own cognizant reality in my mind, and night after night, I watched them with complete fascination, awe, and wonder. Instead of watching a TV screen, I had the distinct feeling that I was looking through a magical window. The TV screen became an anomaly, and I actually felt transported back into time. I had then, and still do, an inexplicable feeling that these films were somehow to be very important to me. 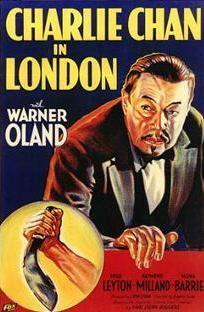 These same feelings recurred time and time again as I began my search for the real Charlie Chan. You can just imagine my excitement upon reading this! I decided immediately to begin a research project on the life of Detective Chang Apana, who allegedly, was the model for Charlie Chan. I felt that if I could get the University of Hawaii interested in this project, I could do it as an Anthropology directed reading course. I did some preliminary research on Chang Apana, and then presented my findings to Professor Stephen Boggs of the Anthropology Department at the University of Hawaii, Manoa. He became excited by my discoveries, and authorized a directed reading course to be done under his auspices. Professor Boggs suggested to me the form that the project should take. 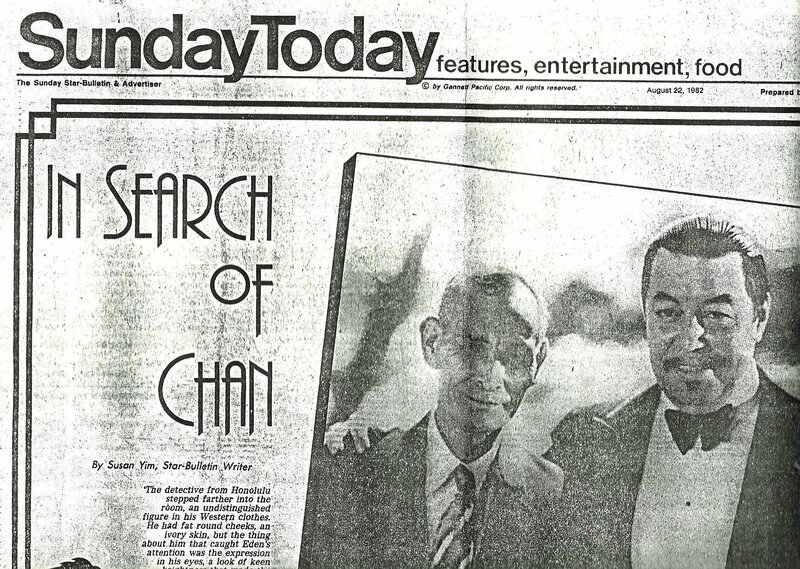 It was to be researched essentially in three parts: (1) “Chang Apana as Charlie Chan”, (2) “Chang Apana the Legend”, and (3) “Chang Apana the Man”. I began my quest for the real Charlie Chan in the Hamilton Graduate Library located on the campus of the University of Hawaii. I spent hours going over microfilm of back issues of the Honolulu Star Bulletin and the Honolulu Advertiser. Through the use of the newspaper indexes and a bit of serendipity, I started to piece together a nice picture of Chang Apana, but it was still sketchy. 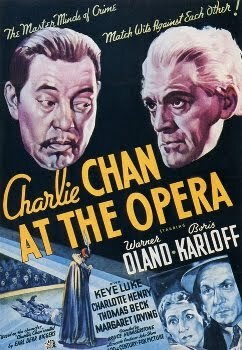 I wanted to prove that Chang Apana really was the original of Charlie Chan. The information that I gleaned from various newspaper accounts strongly suggested that he was the original Chan, but there was no direct proof. The evidence was at best second-hand, or decidedly circumstantial. I can across a Star Bulletin article written in 1976 by Susan Yim entitled, “The Real Charlie Chan?” Yim was not able to pin down any definite proof that linked Apana with Chan. Acting on a hunch, I phoned Yim. She was very personable. I told her about my project and she seemed very interested in it. We compared notes and she told me that if I came across anything definitive about Apana, to please let her know, as she was anxious to follow up on it. In the Yim article there was a mention of an H. C. Ching, a retired Honolulu Police officer who knew Apana. I phoned Ching and he gave me a delightful anecdote which I used in my completed project. I felt that it was very important at this stage of my research to get as much documented information as I could on Chang Apana. My next stop was to visit the Hawaii State Department of Health. I wanted to secure a copy of Apana’s death certificate. I knew that there would be a lot of valuable information contained on it. At the counter of the Hawaii Department of Health, I filled out the form required to obtain a death certificate. I took the completed form to the window. The clerked asked me if I was a relative of Apana. I told her that I was not. She told me that as a general rule, only relatives of the deceased may obtain copies of a death certificate. I told her that I needed it for a research project. She asked me to wait for a moment as she would take it up with her supervisor. I spoke to the supervisor, and he told me that there was only one person who could authorize the issuance of Apana’s death certificate to me, and that person was Dr. Thomas Burch, the Chief of the Hawaii State Department of Health. The supervisor ushered me in to see Dr. Burch. I explained to him about my Apana research and why I needed the death certificate. Dr. Burch seemed fascinated by my project and he issued Apana’s death certificate to me. Amazingly, all of these negotiations only took about five minutes. The magic started to begin. Apana’s death certificate was full of very pertinent data essential for the successful completion of my project. From then on, no door remained closed to me in my inquires about Apana. "Madam Pele does not give up any of her native sons without a struggle. Such was the case during the month of December in 1933. Mauna Loa crater began its eruption on December 2nd, coinciding with a turn for the worse in the health of Chang Apana, who had been admitted to Queen's Hospital in Honolulu, on that same day. The volcano flared up again on December 8, the day the 'Black Camel' knelt at the door of the Apana home. The molten lava spewing forth from the Mokuaweoweo vent was Madame Pele's way of shedding black tears of sorrow over the earthly passing of Apana."